MOSCOW (Sputnik) - The Russian Defense Ministry's Sunday statement putting all the blame for the downing of Russia's Il-20 reconnaissance aircraft in Syria on the Israeli Air Force is justified and balanced, a senior Russian lawmaker, Alexander Sherin, told Sputnik. "I completely trust the opinion of the Russian Defense Ministry. Any measures it will take should be supported both by the public and the media… The Defense Ministry makes very, very balanced final decisions [on anything]. It would be wrong to fault the ministry for taking impulsive, rash acts. Therefore, if the Defense Ministry made such statement [on Israeli responsibility], then it had a good reason for this, which can not always be officially announced," Sherin, first deputy chairman of the Russian parliament's lower house's defense committee, said. The parliamentarian noted that Israel should treat Russia as a partner. "If [Israel] sees that Russia is engaged in putting things in order in Syria, then there is no need to heat up the situation," he explained. The ministry said that the Israeli pilots used the Russian aircraft as a shield against Syrian air defense systems. As a result, the Il-20 plane was downed by a missile launched by Syria's S-200 air defense system at 10:03 p.m. local time (19:03 GMT). The incident claimed the lives of 15 Russian servicemen. 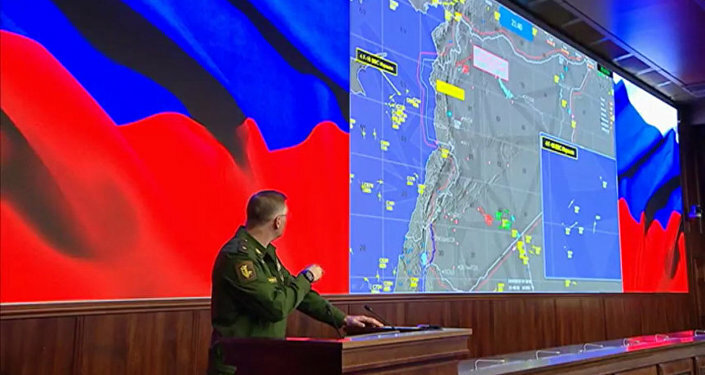 According to the ministry's data, the Russian side informed Israel of the tragedy at 10:29 p.m. local time, asking to call off F-16 fighter jets from the area of the incident, however, they continued to remain there until 10:40 p.m., as radars showed. It was not until 10:53 p.m that the Israeli side informed that its jets had left the area, meaning that a total of 50 minutes had passed since the Russian aircraft was hit by a missile.